The Energy Ministry is seeking a record price of 60 billion rubles ($2 billion) to develop the Trebs and Titov oil fields, and the government looks determined to get as much as it possibly can from oil companies for the massive deposits. The fields are classified as strategic — meaning that they have more than 70 million tons of reserves — and their sale would be the first of a strategic deposit since changes to the law on subsoil resources in 2008. Trebs and Titov have extractable ABC1 reserves of 78.1 million tons and 132.8 million tons, respectively. "For oil execs, this is the last cherry to pick. Russia doesn't have deposits of this size left," said Denis Borisov, an analyst at Bank of Moscow. Deputy Prime Minister Igor Sechin ordered the Energy Ministry in June to prepare a valuation for the fields. A ministry official told Vedomosti that the calculations were prepared by three independent appraisers using different methods. 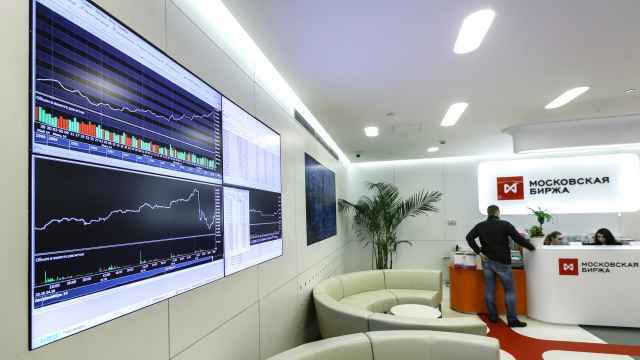 The valuations ranged from 22.9 billion rubles to 101.6 billion rubles ($753 million to $3.3 billion), Interfax reported, citing an Energy Ministry source. Vedomosti's source in the ministry said the maximum price was $4 billion but that the ministry saw 60 billion rubles as the optimal one-off payment. Oil companies, however, found even the Energy Ministry's figure discouraging. 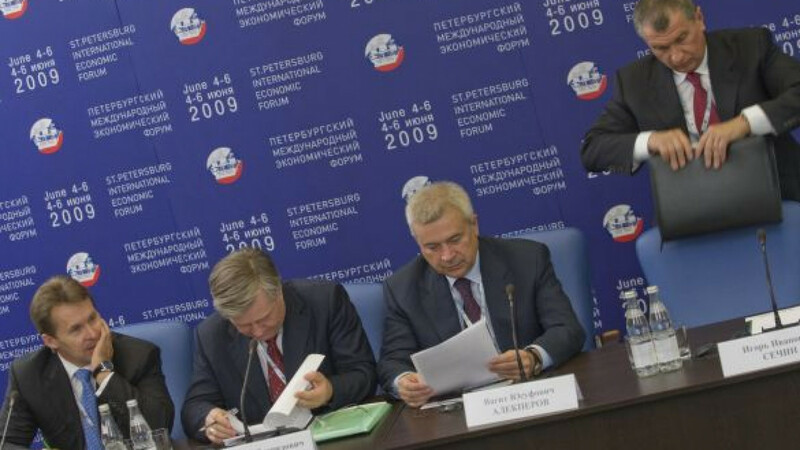 "A bit pricey," sighed officials at two of Russia's largest oil companies. At that price, companies would have rethink their options for bidding to develop the fields. "It's possible the approach would have to be as a consortium," one of the oil company officials said. "The final format for participation will depend on the approved price and the conditions put forward," said his colleague at another oil producer. 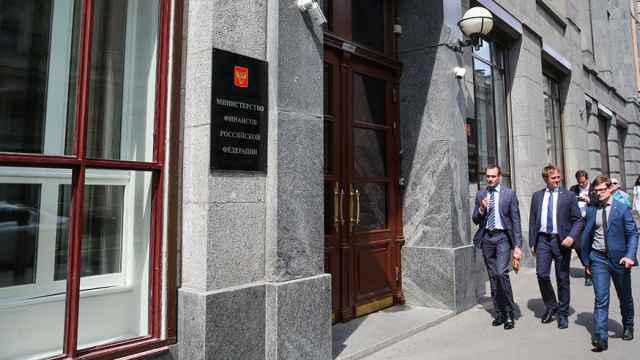 Spokespeople for Russia's largest oil producers declined to comment on the Energy Ministry's valuation until the official terms of the auction are published. "The draft order on holding the auction has been agreed upon. It's waiting for the prime minister's signature and will be approved in the near future," Dmitry Peskov, Prime Minister Vladimir Putin's press secretary, told Vedomosti. 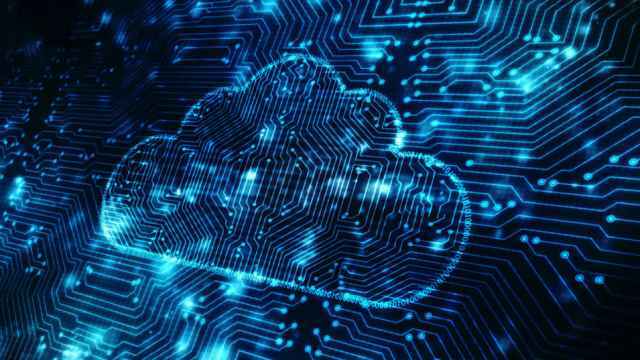 The document contains only the general terms of the auction, not the size of the payment, which will be discussed and approved by the government, a spokesperson for Sechin said. The government has already been given several figures to consider, including the Natural Resources and Environment Ministry's price of 17.8 billion rubles ($584 million). A source in the government administration told Vedomosti, however, that it was vital to earn as much as possible from the sale to help the budget. This is the sixth year running that the state has been trying to sell development rights for the Trebs and Titov fields, although other options have also been considered. In late 2008, when oil was trading for just over $30 per barrel, the Federal Subsoil Resource Use Agency proposed that the government create a strategic oil reserve, which would include the Trebs and Titov deposits. Sechin approved the idea, but the reserve was never actually formed. By late 2009, it was decided to sell the fields to help cover the budget deficit. 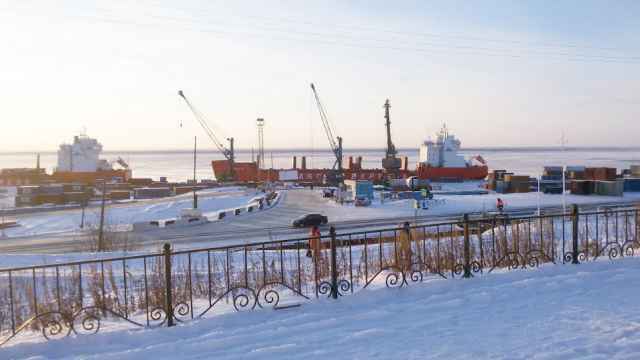 In the past, interest in the fields has come from state-run Rosneft, which is developing the nearby Val Gamburtseva deposit in the Nenets autonomous district. LUKoil, Russia's largest private oil producer, would also make a nice fit, because it has long been active in the Timan-Pechora oil basin and owns the nearest refinery. Representatives of Gazprom Neft also expressed their interest in Trebs and Titov several times this spring. These are the three companies with real chances of winning the development rights, whereas others could be scared off by the price, said Pavel Sorokin, an analyst at Alfa Bank. Bank of Moscow's Denisov said he thought that the price was fair, given that Trebs and Titov were the last known major oil fields. Surgutneftegaz, Russia's wealthiest oil company, has never expressed any interest in the assets. Foreign oil majors are unable to bid because Trebs and Titov are strategic fields. According to the draft plan for the auction, potential buyers must provide the Federal Subsoil Resource Use Agency with technical and economic calculations for the work as well as proposals on refining the oil at their own refineries and selling the oil on Russia's commodities exchange, Interfax reported, citing a Natural Resources and Environment Ministry source. These requirements are not entirely reasonable, said an official at one oil company. Russia still does not have a working oil exchange, while existing refineries are already working at full capacity, the official said.